We believe in helping young minds dream big. Whether it’s the vision of lifting a World Cup or setting an all-new world record, we empower our students to realise that no goal is too hard to achieve. We believe in the unifying power of sports. A nation driven by a love for sports is one where barriers are broken and social inclusivity, team spirit and national pride are a way of life. We hope to broad-base sports among children between 8 to 16 years. With a combination of structured training, real-time match practice, professional coaching and state-of- the-art facilities, we give young talent that much- needed platform to excel. We’re all about setting the benchmark, pushing boundaries and stepping up to every challenge. 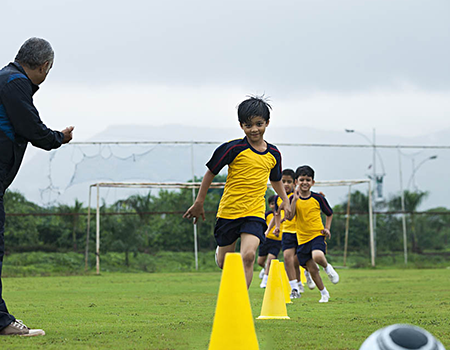 We hope to be the driving force behind an ambitious pack of budding sports stars. We are the Go Getters. We have a vision and we’re not afraid to chase it. We are kickstarting a new sporting revolution in Kannur. At Go Getters, we aspire to stay true to our sporting heritage and revive the competitive spirit of sportsmanship among the next generation of talent in Kerala. Once dubbed the Mecca of football in India, Kannur has produced some of the sport’s finest names. Spirited Youths, Brother’s Club, Gymkhana and Lucky Star were the town’s four leading clubs and they enjoyed a mass fan following. Cricket too evoked mass appeal and the pride of Kannur J.K. Mahendra was the first Keralite to represent India as a member of the All India School Cricket team, which toured England in 1967. Since then, 50 years have gone by without a single cricketer from Kannur representing India. 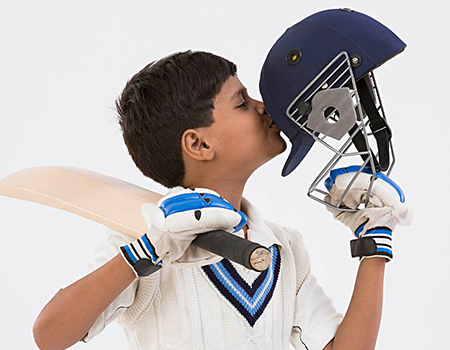 We want to put Kannur back on the map and reclaim our glorious past. .
We see sports as being part of a well-rounded lifestyle and believe that children need a healthy balance of physical and mental activity to bring out their best on the field. We believe that academics are paramount to the overall development of a young mind and the choice should never be between education or sports but made to include education plus sports. Some of the best international sportspersons employ a great deal of skill and strategy to attain mastery of their game and the merits of a well-rounded education cannot be discounted. Icons aren’t made in a day – a fact that we’re well aware of. 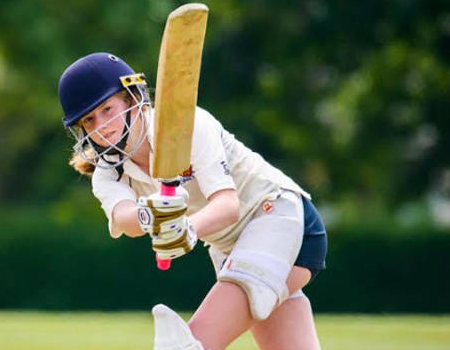 We hope to produce a new generation of talent with the right mix of coaching, dedication and that all important element of a child’s inherent talent. Our team of experts including our FIFA-licensed European Director of coaching and his team will be on-site to ensure students get hands-on attention. Aside from all the serious business, we want to create a fun, healthy and all-inclusive outlet for children to enjoy post school hours.